It's possible that the files that we install to let SketchUp 2017 find our plugin did not get installed into the proper location. 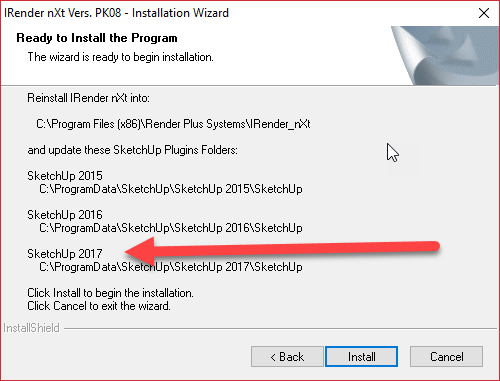 If you are having problems installing into SketchUp 2017, read the comments below. By default, we install the ruby files in your ProgramData folder. 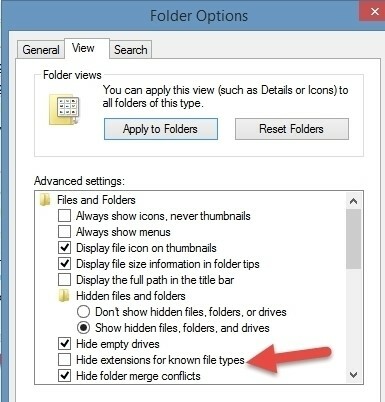 Note: On your machine, the "ProgramData" folder may be spelled differently, for your version of Windows. Run the installation again, choosing the Reinstall choice, and notice where we are installing the SketchUp plugin files. Note: If you don't have the View option for showing known extensions un-checked, you will just see the file as being named "Rps_IRender_nXt". If that file and folder are not there, then you will need to reinstall IRender nXt and make sure that the Ruby Plugins files get installed into your ProgramData folder. 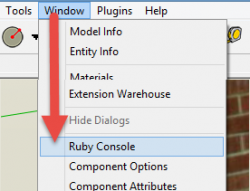 in the ruby console window, and then click Enter. Then copy all the text that appears in the Ruby Console and send it to us. Hopefully all of that will give us a clue, if there is an error message or the files cannot be found to load.